Frequently Asked Questions | Air Filters, Inc. If you don’t already have a filter in your air return or there isn’t a size printed on your current filter, no problem! You can measure it yourself. Just grab a tape measure and measure the height X width X depth. What is the difference between nominal and actual sizes? Actual size is the exact dimensions of your filter, often shown in precise fractions. Nominal size is the actual size rounded up to the nearest whole inch and is typically printed in a larger print above the actual size. The nominal size is what you should typically use when shopping for your replacement filter. What is an antimicrobial filter? 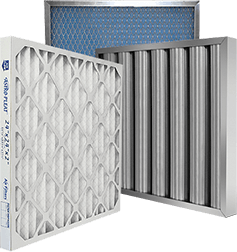 Antimicrobial filters use a special antimicrobial filter media that inhibit the growth of mold, mildew and other airborne contaminants that greatly reduce the number of allergens in the air.